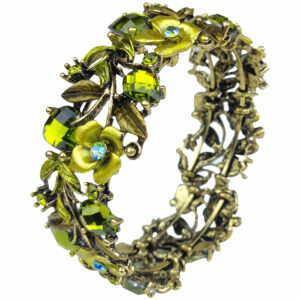 View cart “Black Alligator Cuff” has been added to your cart. 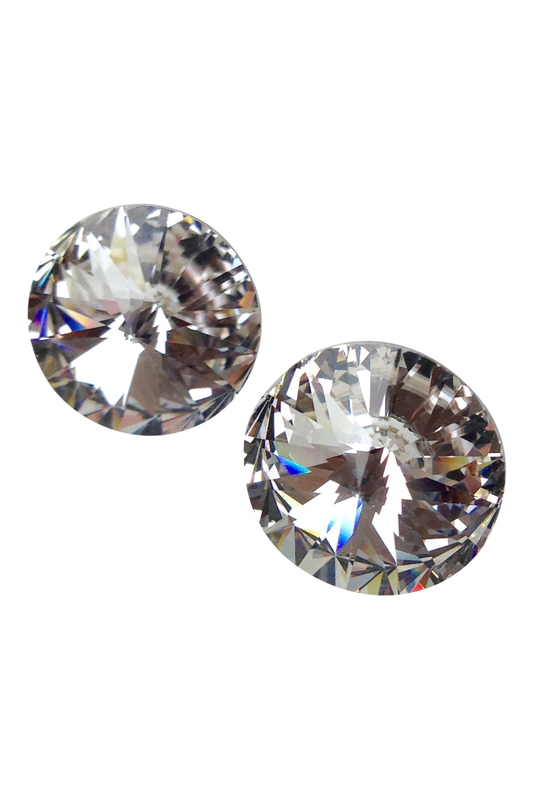 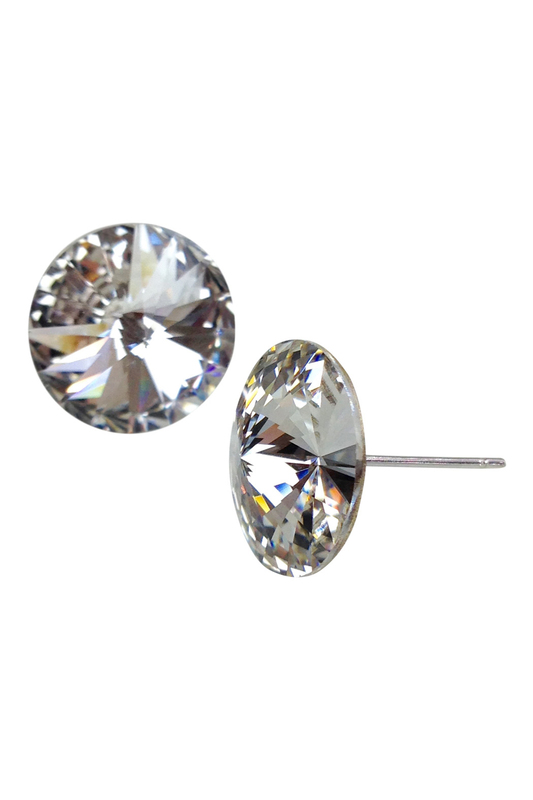 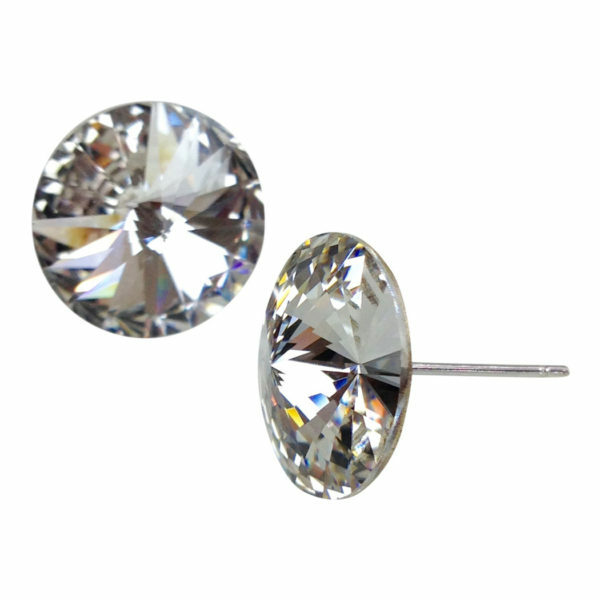 Glistening CLEAR DIAMOND COLORED Swarovski Crystal STUD Earrings. 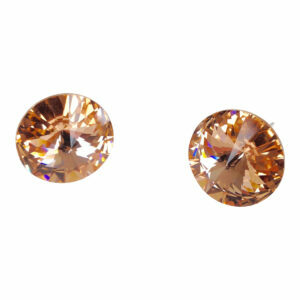 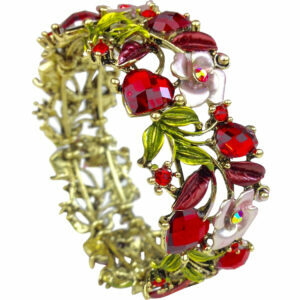 These brilliant stones are 15mm in size, which is a little smaller than a dime in size. 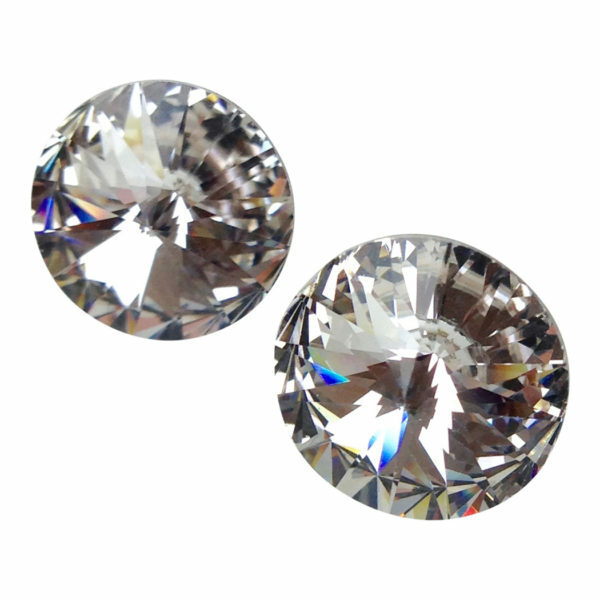 The metal parts are quality hypoallergenic surgical steel that are safe for sensitive ears.